Grinnell College PPL — LT Leon Associates Inc.
Grinnell College proposed to build a new preschool psychology laboratory facility to replace the existing facility in order to meet current and future educational needs. The new facility serves approximately 50 children each year. 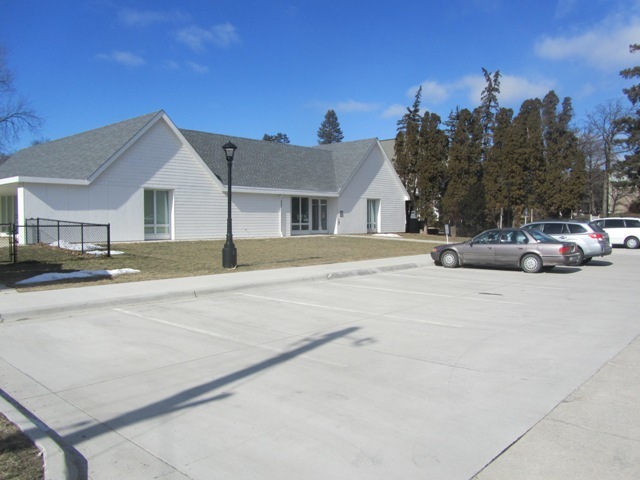 The project included demolition of an existing building and parking lot, and construction of the new building, parking lot, ADA improvements, playground, and site utilities. LT Leon responsibilities included preparation of site plan documents including demo, site layout, grading, stormwater management, utilities, and erosion control. The drainage plan included a system of subdrains and grass swales that collect and convey runoff from the roof and green spaces to City storm sewer. The design also included a modular retaining wall with railing to accommodate the new playground and drainage improvements. The project is LEED Silver certified.